You will only use fire extinguishers when using them is of the utmost importance. When a fire breaks out, you need to be able to count on your fire extinguisher. This is why buying quality is important when it comes to this emergency tool. Fire safety manufacturers give ABC ratings for fire extinguishers so shoppers can identify what kind of fire the product is effective against. If you see an extinguisher with an A rating, it is good for fires from wood, paper, and cloth. Extinguishers with a B rating are particularly effective against gas or cooking oil fires. Using an extinguisher with a C rating is great for electrical fires. Fire extinguishers can have all three ABC ratings. These fire extinguishers have mixed effectiveness against the different types of fires. Their manufacturers put numbers beside the letters so consumers can easily identify how strong their products are for each category. A fire extinguisher with a rating of 4-A and 2-B is strong against fires caused by common combustibles and moderately effective against oil and gas-based fires. C ratings just mean that the extinguisher will not conduct electricity when used. 3. Weigh the weight and size and factor emergency response. Making use of a fire extinguisher during the initial outbreak of a fire should be instantaneous. The weight and size of the tool will be important when the time comes. If you’re thinking of getting a fire extinguisher to respond to cooking fires, you will probably need a 5 pound fire extinguisher. You can stock a 2 pound fire extinguisher for your car. 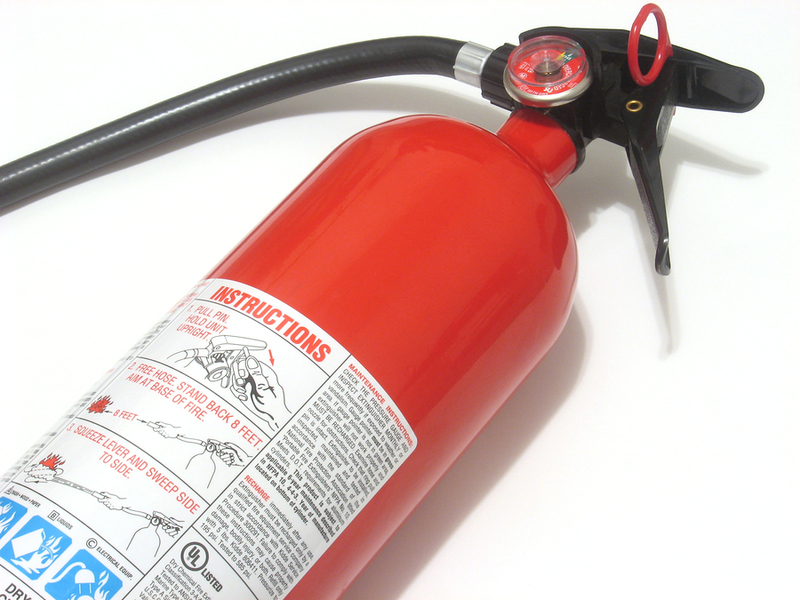 A 10 pound fire extinguisher is good for other areas of your home where fire can spread quickly. 4. Look for the seal of quality. Never get a fire extinguisher that doesn’t come with an Underwriter Laboratories (UL) seal. Never compromise on this detail. We hope that you take our advice on buying fire extinguishers. If you need help recovering from fire and smoke damage in Colorado Springs, Co, please do not hesitate to get in touch with KW Restoration. You can also contact us for emergencies of other kinds like water damage and mold. You can reach us at 719-301-3737 and through the contact form on this page. KW Restoration is your trusted partner in reconstruction and rebuilding your life after a disaster. Contact us today!